A new Ford GT belonging to John Cena sold at a Mecum Auctions last year for a whopping $1.8 million. And the story goes deeper than the deep pockets of the buyer, and it will probably be a while before we see another GT at an auction. 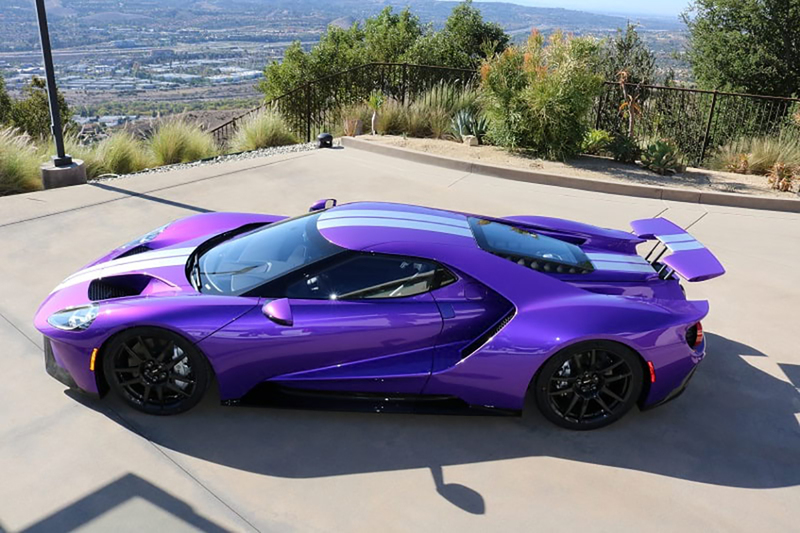 When the new Ford GT was released, the company required new GT owners sign a contract promising that they would hold onto their new GT for at least two years. The goal was to prevent new car flipping. Considering the significance and exclusivity of the car, we thought this was quite reasonable. The owner of that particular Ford GT at Mecum broke his agreement with Ford, and ended up selling it to a Florida dealer, who almost immediately consigned it with Mecum according to Road & Track. Ford tried to stop the auction from happening, but a judge denied the request and said that the dealer who owned the car wasn’t under contract with Ford and could proceed however he liked. Due to a new agreement, we won’t be seeing anymore Ford GT supercars popping up at Mecum again soon. Ford has announced a settlement with the auction house stipulating that Mecum won’t consign GTs from original owners currently under the two-year agreed ownership period. The settlement also specifies that if anyone happens to gets their hands on a GT and attempts to consign with Mecum within the two-year period, the auction will have to receive Ford’s permission before proceeding. R&T states that Ford said the terms of the settlement will remain confidential, but Mecum will make a donation to the Ford Motor Company fund. However, other auction houses like Barrett-Jackson and RM Sotheby’s are not embattled with Ford, though they’re likely watching from the sidelines with caution. We might not see a new Ford GT at auction again for a while, but that doesn’t mean it won’t happen ever again. On the contrary, we will probably see new GTs going for huge money in just a few months. The new GT entered production in December 2016, so early examples are now over two years old, which puts them up for grabs, assuming of course that the owners are willing to part ways. Additionally, Ford sanctions charity auctions of special cars once in a while. Last weekend, a Gulf-livered 2019 Ford GT Heritage Edition sold at Barrett-Jackson’s Scottsdale event for $2.5 million. If you didn’t make the cut during the selection process, you’ll still have a chance to pick up a new Ford GT in the coming months. Assuming that you have an extra couple million lying around. And if you do, and don’t know what to do with it, well, give us a call. We have lots of ideas. I got to sit in one at the Rolex 24 – they had 3: Red, White & Blue. Man, is it tight inside with a very low roof making it seem even tighter; however, I imagine it would be cool to drive. I’ve only ridden in one, for a hot lap. I’m 6’ 4”, 165 and it was tight. Shoulder to shoulder with the Ford Performance driver. With that said, it was one of—if not the most exciting automotive experiences I’ve ever been a part of. I’m working on driving one this summer. Wish me luck. Thanks for the read!